Really like this little big speaker. Little big, because in a small speaker you can really feel the vibes of a big one. The product looks pretty good and design is cool and minimal. The weight it’s not a problem because i carried it around a couple of times already in the pocket of my jeans and in the pocket of my jacket, and never bothered me. The product is very tough and it’s built with really good materials. I didn’t try it already under the water but i already know it doesn’t fear it, and i trust the brand, you’ll realize you can trust it when you’ll hold this little big speaker in your hand. For what concernes the pairing it’s so simple and fast, you’ll do it in a couple of clicks/touches. You also can walk throught the house without losing your connection. 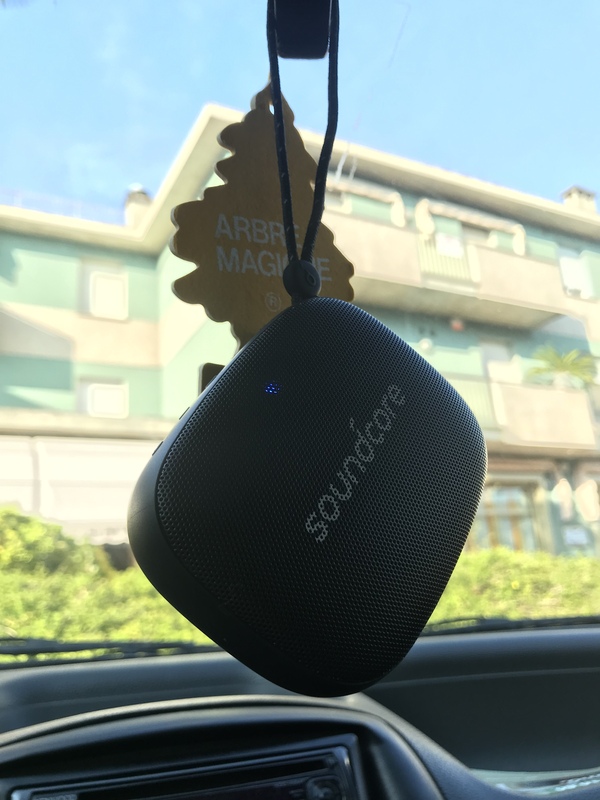 I also found out you can pair two soundcore mini simultaneously for a much more immersive and stereo sound experience, that should be really cool. The volume it’s really good for a speaker of this dimentions and the sound it’s so clean even with the highest volume. I won’t say anything also because this thing it’s so well made from my point of view. Trust me you can’t be disappointed. But will it replace your car radio? Just kidding. Can't wait for your review. But will it replace your car radio? Wait a min...isn't this a review? 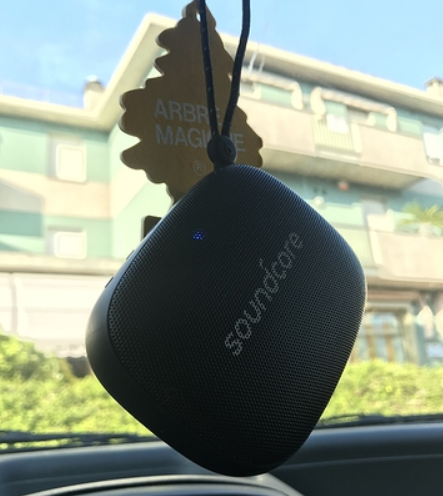 great review, i liked the pic of sondcore mini hanging from the rearview mirror... cool! I know the exact time when this will be useful -- I have a Honda Pilot model BEFORE the Android Auto & Apple Carplay support got included. Had to root the HUD system on Honda (its Android, google / bing it, you will find hundreds of pages with solutions) , however it can only have one app at a time, Waze is my favorite for trips, but cannot play audio. Thought of rooting my Honda Civic system but gave up. Maybe be the hardware isn’t that great so I may not get much out of it. Nice review! I agree about the volume, it really is surprising how loud, yet clear, it gets from such a small speaker.